The INC (Instituto Nacional de Cultura) regulations allow only 500 permits per day for the Inca Trail to Machu Picchu and are granted on a first-come first-serve basis. Native Paths highly recommends that you make reservations 4-6 months in advance to secure your space. All Inca Trail departures are subject to permit availability. Native Paths can offer this trip on alternate dates for a minimum of two participants. Please contact us for the latest update on permit status. Generally the trekking permits sell out 5 months in advance. Today you have a sunrise breakfast so that you can board the train towards Augas Calientes at 7 AM. Throughout the journey you experience changing views of Andean landscapes as the train descends from the high-lands down through the cloud forest. Your train ride lasts 1 hour and 30 minutes to KM 104 where the check point of the short Inca Trail is placed. The trek is approximately 10 km in length, and can take anywhere between 5 to 6 hours depending on your walking pace. There is a steady, continuous climb for the first 6 km to the impressive site of Huinay Huayna. Shortly after leaving these ruins you join up with the main section of the Inca Trail. After approximately 3 km you finally reach the “Inti Punku” Sun Gate, giving you your first memorable view of “Machu Picchu” gleaming down below. After a short brake enjoying the views, you have another 1 km easy downhill hike to reach the citadel. There is no need to hurry as we visit Machu Picchu tomorrow. Then, you descend to Aguas Calientes by shuttle bus and check-in at your hotel in town. A packed lunch is provided during the trek and is normally taken around Winay Wayna ruins or a nearby campsite which has a small cafe and seating area. An early start is needed to enjoy all that Machu Picchu has to offer. You board the shuttle for a 25 minute ride up to the hidden Inca citadel. After checking-in with your guide (bring your passport as it is needed to pass the control and get a stamp if you would like), you have a two hour tour of the most important sites in Machu Picchu, such as the Intihuatana (Sun Stone), the Sun Temple, The Temple of the Condor, the Inca Bridge and many other buildings. After your guided tour, you can enjoy time on your own for taking pictures or for taking in the mystery and enigma that surrounds the Machu Picchu site. You have a late lunch in Aguas Calientes before taking the 1 hour and 30 minute train back to Ollantaytambo. Then, you take a 2 hour bus ride to Cusco where you are transferred to your hotel for the evening. In the morning, you can stroll through the local artisanal markets, the main squares and streets of the only city in South America that has kept its Incan origins. You have the day at your leisure to rest and get souvenirs before going to Puno. 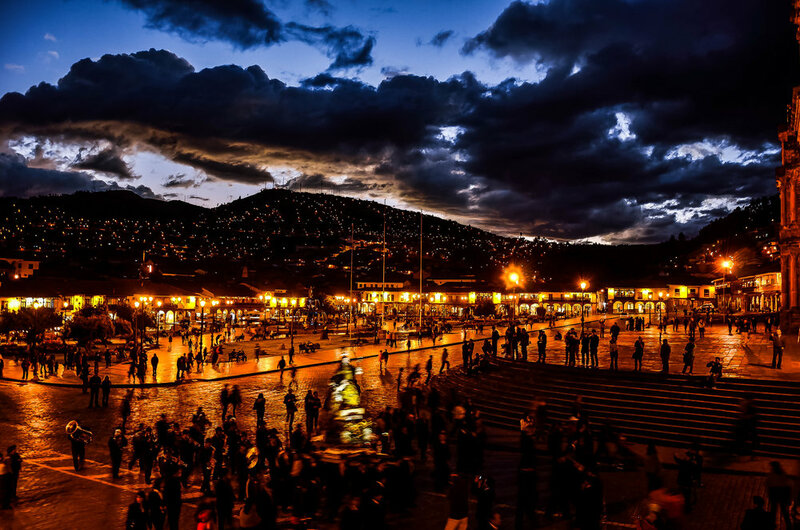 Cusco has several restaurants that are worthy of a visit, and the gastronomy has gained a good reputation among tourists. Most of the restaurants are near the main square or Plaza Mayor. You should also try finding a pub or bar to have a Pisco Sour! In the evening, we suggest visiting Centro Cultural Qosco to see the local folk dances. 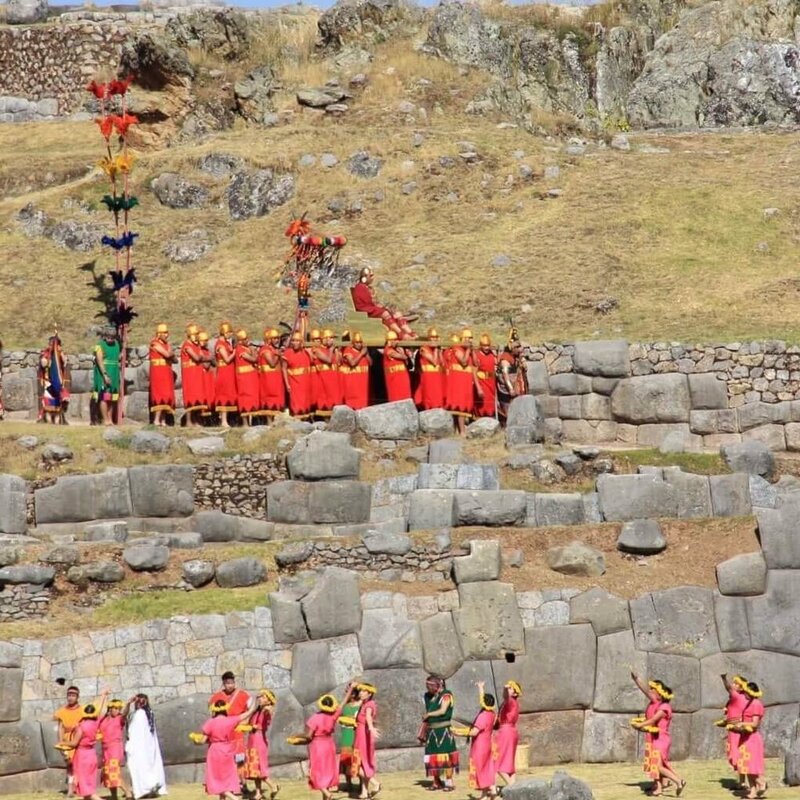 The shows are everyday at 6:30 PM, and the fee is included in your Cusco Tourist ticket. 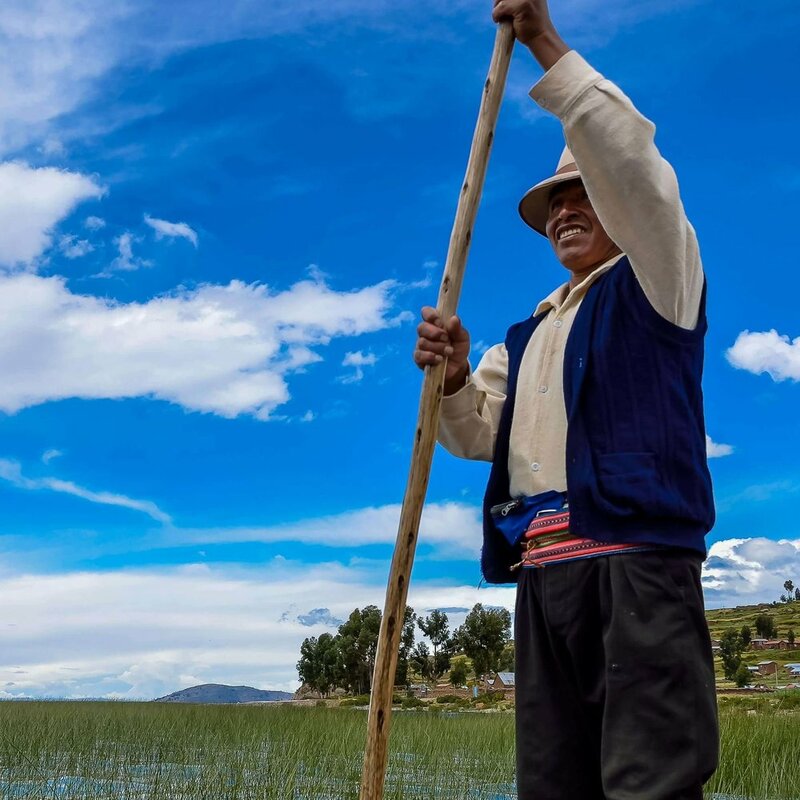 Lake Titicaca is an inner sea, 110-mile-long by an average of 49-mile wide. At 7:30 AM you take a boat to visit Taquile island, where a small community of around 400 families lives. This community has developed a cooperative way to share in the tourism thanks to the accommodations and restaurants around, as well as their local crafts and traditional costumes.